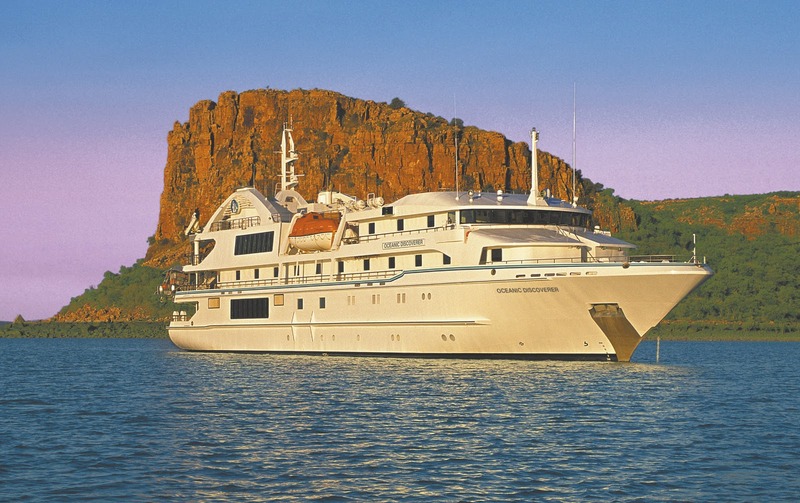 Kimberley Cruise | Australian Adventure Cruises: Coral Princess releases Spring Specials of up to 25% on selected expeditions. Coral Princess releases Spring Specials of up to 25% on selected expeditions. Australia and the South Pacific’s pioneer of small-ship expedition cruising Coral Princess Cruises is offering Spring Specials of between 15 and 25 per cent on September, October & November 2011 departures of their Kimberley Coast, Papua New Guinea and Melanesia expeditions aboard the state-of-art, 72 passenger small ship Oceanic Discoverer. The Kimberley wilderness of Western Australia is three times larger than England with a population of just 30 000. Coral Princess’s 10-night voyages before Darwin and Broome cruise through one of the planet’s oldest and most awe-inspiring sea and landscapes. Rivers carve their way through ancient, eroded mountains that were once the height of the Himalaya, dropping in champagne waterfalls such as the 80-metre King George Falls. Excursions ashore visit rock art galleries where Bradshaw (Gwion) paintings - the world’s oldest known art - record a human history stretching back 50,000 years. Exploring the Kimberley Coast in September and October affords guests the unique opportunity to experience the region’s annual whale migration. The cruise also explores the 800-odd islands of the Buccaneer Archipelago, including an exhilarating Zodiac ride through the Horizontal Waterfalls, where the largest tides in the southern hemisphere force their way between rocky cliffs in a formidable display of the forces of nature. 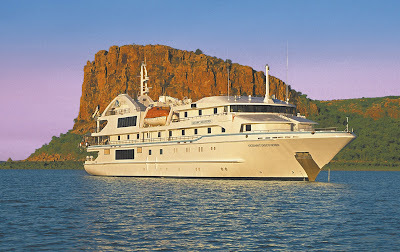 Spring Special prices for the 10-night Kimberley cruise start at $6,337.50 per person aboard Oceanic Discoverer for departures on 30 September & 10 October 2011 and $7,182.50 per person on 9 & 19 September 2011 departures. The reduced prices include all meals, lectures and services of expedition staff on board and excursions. Discovering Papua New Guinea and Melanesia by small ship offers even the most well travelled expeditioner the opportunity for new and unique experiences. During the 12-night Papua New Guinea expedition between Cairns and Rabaul, guests will enjoy the opportunity to come face to face with villagers in their traditional communities, experience the largest area of rainforest outside of the Amazon and snorkel over some of the world’s most pristine coral reef systems. Throughout the 15-night Melanesia itinerary from Cairns to Noumea, guests will explore Papua New Guinea, the rarely visited Solomon Islands, Vanuatu and New Caledonia, travelling well beyond the reach of larger cruise ships to enjoy authentic experiences and the opportunity to interact with the South Pacific’s most exotic people and scenic locations. Coral Princess Cruises is offering 15% discounts on these 12-night Papua New Guinea and 15-night Melanesia expeditions aboard Oceanic Discoverer departing on 3, 15 & 28 November 2011. The 12-night PNG itinerary is priced from $7,522.50 per person and the 15-night Melanesia itinerary is priced from $9,520 per person. As part of the Spring Special, single travellers will be able to avoid the dreaded “single supplement” when they join Coral Princess Cruises in the Kimberley, Papua New Guinea or Melanesia on selected dates, a saving of up to $6,325. The discounts apply to all new bookings on selected departures and are available until 10 October 2011 or until sold out.